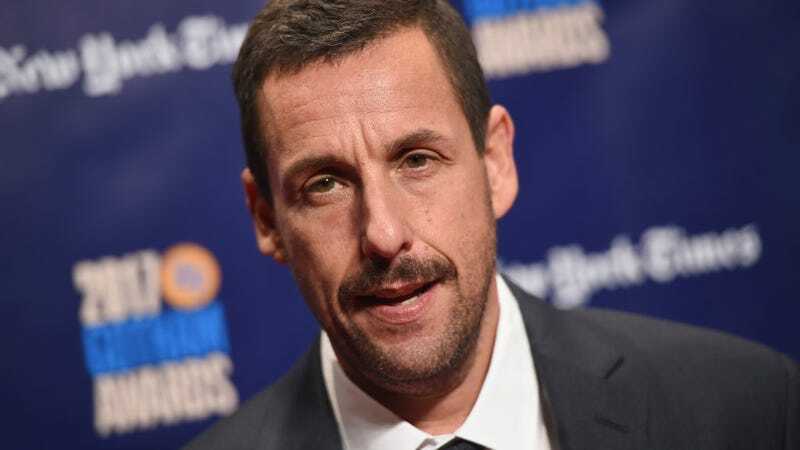 Though he’s already re-upped his production deal with Netflix, thereby allowing him to hang out with his friends David Spade and Kevin James some more, Adam Sandler is still considering projects made by people other than himself. As Indiewire reports, the actor-producer is following up his well-received performance in The Meyerowitz Stories with an undisclosed role in an indie film from Good Time directors Josh and Benny Safdie. The film, Uncut Gems, will be executive produced by Martin Scorsese, but little is known about the subject matter. The Safdies have reteamed with Ronald Bronstein on the screenplay for the drama, and will also further their collaborative relationship with A24 to distribute the movie. There’s no word on a production or release date, but in the interim, you can, uh, look forward to seeing Sandler opposite Chris Rock in the upcoming Netflix movie, The Week Of.